Best known internationally for his leading roles in the TV dramas My Name is Kim Sam-soon (2005) and Secret Garden (2010), Hyun Bin has now long been established as one of the biggest stars in Korea and across Asia. One of his earliest leading roles, the TV drama My Name is Kim Sam-soon was a massive hit with average ratings of over 37% through the run and 50.5% for the finale, also winning Hyun Bin the Top Excellence Award at the MBC Drama Awards. In 2010, Hyun saw yet another surge of fame with Secret Garden, a romantic fantasy about a fussy and arrogant department store heir and a penniless stunt woman (played by HA Ji-won) who switch souls when it rains. 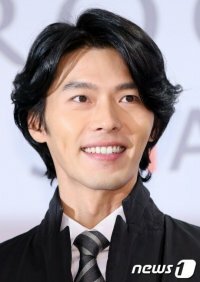 The series brought in 30% ratings and caught much interest through its fashion, catchphrases and music, and Hyun Bin was nominated for his performance at the SBS Drama Awards and Baeksang Arts Awards. For his comeback after 21 months away for Korea’s mandatory military service, Hyun Bin chose to star in The Fatal Encounter, his first ever period film, in which plays the leading role of King Jeong-jo who faces fierce party strife and assassination attempts during his reign.